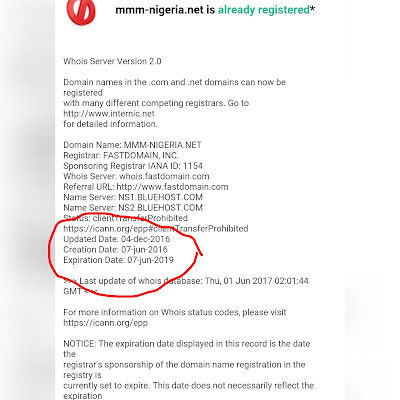 There have been ongoing rumor that the MMM official website domain registration will expire this year July. Well we all know that seeing is believing, so we Team_Moneyrated and Team_Mntrends have taken out time to check and bring all the facts out with picture proofs. 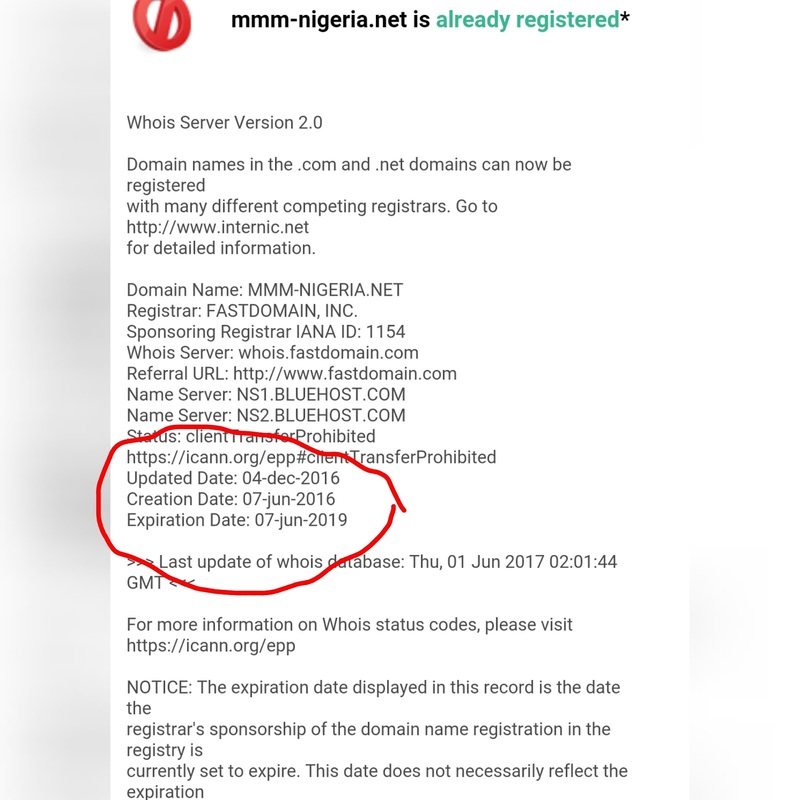 We checked with WHOIS to see when the official MMM website domain will expire. 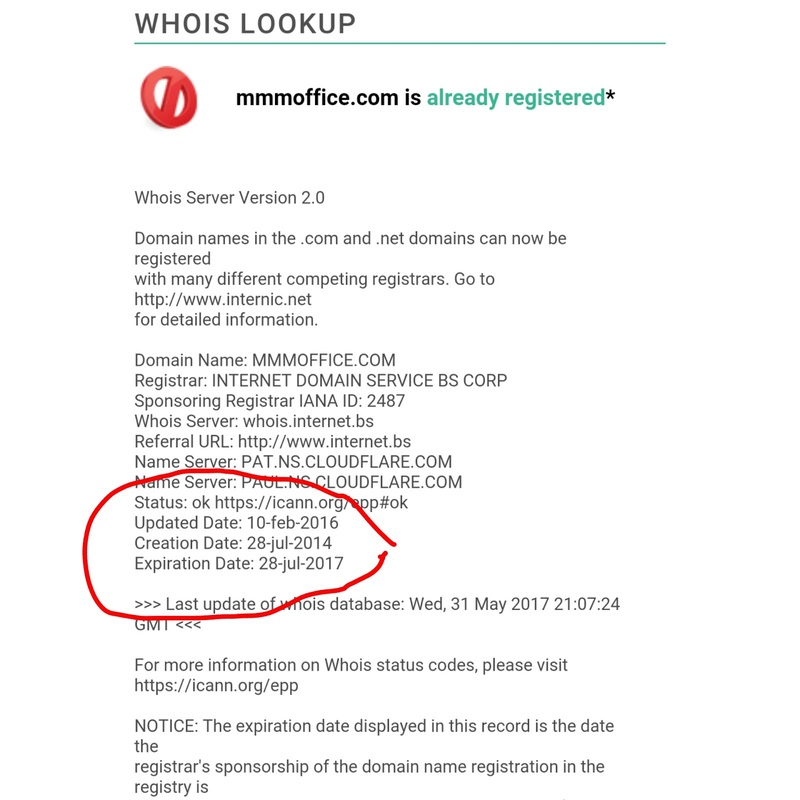 “for those who don’t know, WHOIS are responsible for keeping records of all public registered domain all over the world“, and we find quite the opposite of what is been spread. 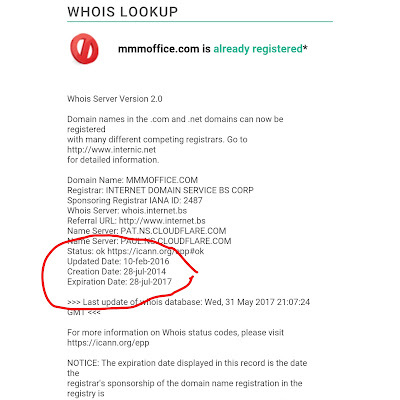 This means that the mmmoffice domain will be automatically updated when it is time. 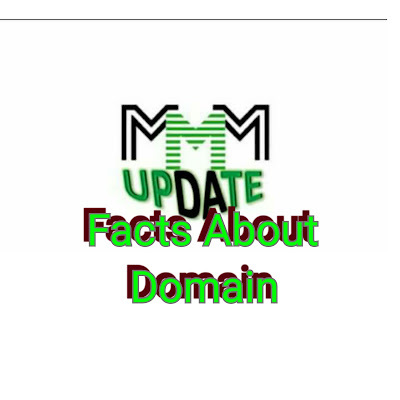 So say NO to unnecessary panic, MMM is here to stay and an automatic renewed domain name should be the least of participants worry. Don’t forget to subscribe to our newsletter to get first hand and authentic info from Mntrends. website provides quality based articles.